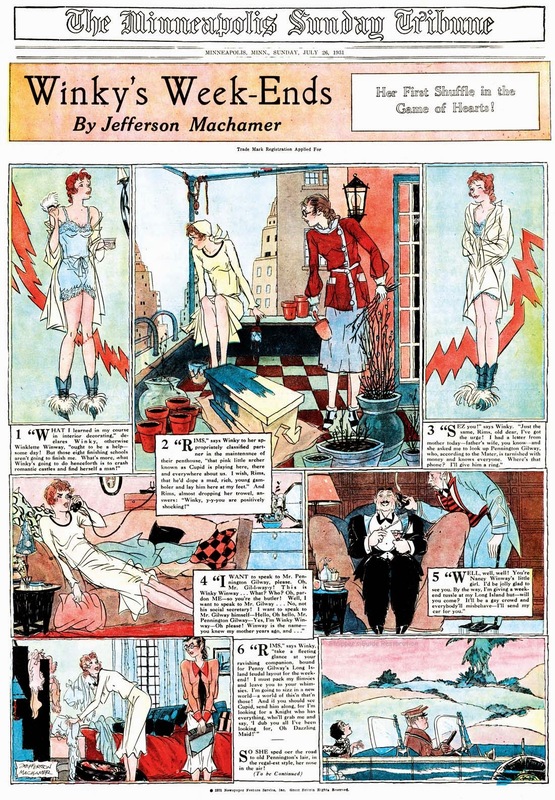 Jefferson Machamer didn't put a tremendous amount of effort into a storyline for Winky's Week-Ends, a magazine cover series he penned for Hearst's Newspaper Feature Service. No, Machamer really just strung together a bunch of vignettes about a city gal visiting a country manse to find romance. He used that as the prop on which to find more reasons than you can shake a stick at to peel Winky down to her delectable skimpies. And who are we to complain? Not gonna look a gift horse in the mouth when it comes to skimpy negligee scenes, 'round here. 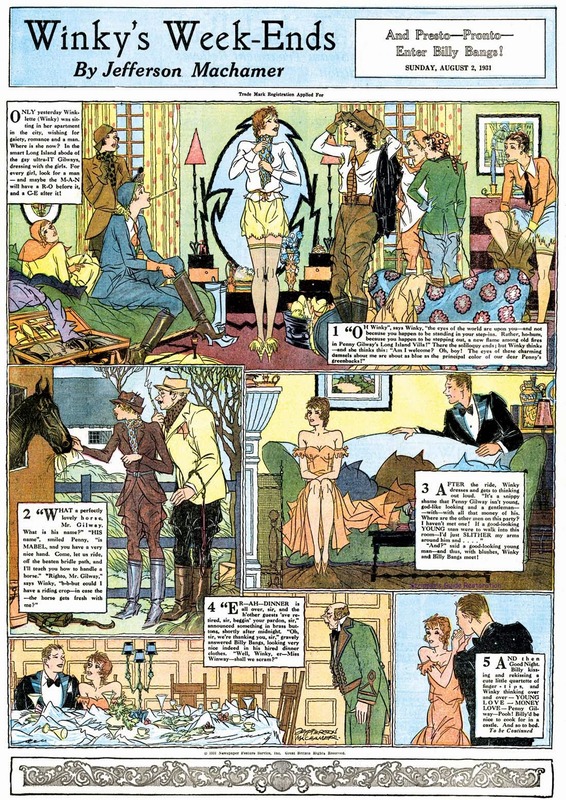 The Winky's Week-Ends series ran from July 26 to September 27 1931.